The Japan Science Museum Association has been taking various traveling exhibits to science museums/centers across Japan. Through traveling exhibits, we support the activities of local science museums/centers and help as many people as possible to think about the future of the Earth. In this report, we are introducing two exhibits—Waterpedia and Life on Land. Surrounded by the sea, Japan has an environment rich in water resources from snow, rain, and its flowing rivers. However, in terms of the water we depend on, a mere 0.01% is available to humans for immediate use as fresh water. In addition, we need to be aware of the many challenges concerning water, such as the fact that we indirectly import large amounts of water when importing food from abroad. 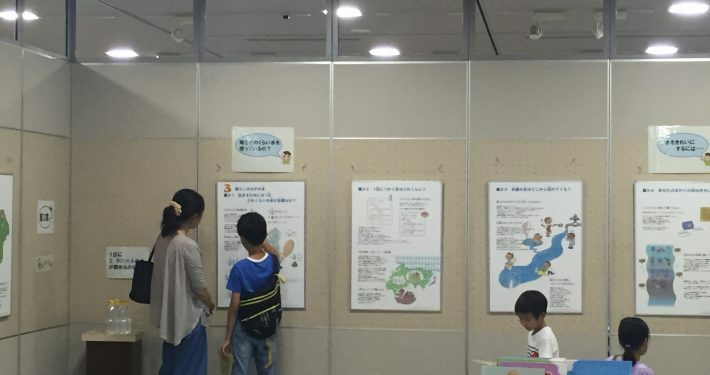 The Japan Science Museum Association created a 19-panel exhibit on the importance of water resources called Waterpedia—The Exciting Unknown World of Water in cooperation with Mukai Chiaki Children’s Science Museum. It has been touring local science museums/centers to let students and children across Japan know about the importance of water resources and to help foster interest in water. During fiscal 2016, the tour stopped at the Fukuoka Science Museum in Fukuoka Prefecture in May and June, the Kashihara Municipal Children’s Museum of Science in Nara Prefecture in July, and the Hanno Civic Activity Center in Saitama Prefecture where 9,300, 3,300, and 4,300 people respectively visited the exhibit. Participants commented. “I was able to understand the preciousness of water and how we take water for granted in our daily lives” and “I was reminded that we cannot live without water.” In addition to the children, what was noticeable was the eager participation of adults in the exhibit. The exhibit is scheduled to be at Sanuki Kodomo no Kuni (Children’s World) in October and then Izumo Science Center in Shimane Prefecture in January 2017. 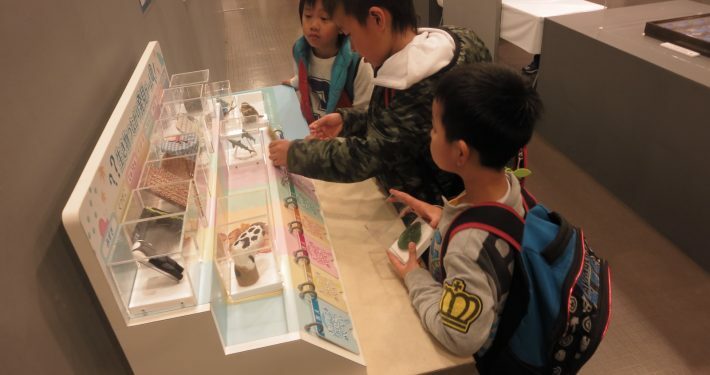 A traveling exhibit Biodiversity—The Coexistence of Humans and Nature was created by the Japan International Cooperation Agency (JICA) and has been utilized by science museums/centers across Japan. The exhibit features a 12-panel display introducing why biodiversity and nature should be protected, plus a hands–on section with a “biodiversity pyramid game” and a “creature connection discovery game.” These experiences give children the opportunity to interact with biodiversity—meaning the world of rich biological nature—up close and to think and learn about what activities destroy nature, what kind of activities can help protect nature, as well as the connection between nature, living things, and humans . . . all while having fun. This fiscal year, the exhibit has already been to five science museums/centers and been seen by 120,000 people. In this way, we offer an opportunity for individuals to reflect on the way they live, to think about living with nature, and to make changes in their lifestyles that preserves, as much as possible, a rich natural environment. 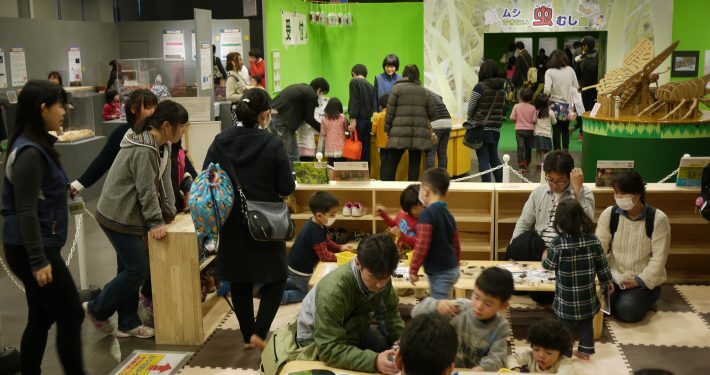 The Japan Science Museum Association has been closely working together with science museums/centers to help people, children in particular, stimulate interest in science and the future of the Earth.